I am off for some adventures in South Africa this week and I was looking for something to keep their summer sun off my face! I’ll be doing lots of “stuff” outdoors and seeking out the shade in the heat of the day will probably not be that easy. So I went in search of a sunhat to help solve my dilemma! I thought that the chic thing right now was to go with the large, floppy style hat in bright colours so you looked classic but with a modern twist. It is all about the eyes in hats like this; a smoldering look from behind the brim at your man across the table…So I figured this wasn’t for me seeing as I am going away with my Mum! Also hats like this can own you, overpower an outfit and don’t always “go” with everything you wear. If it was just a beach/pool, sun, sea and sangria holiday, I’d be tempted. But it doesn’t suit the environment so that idea is out! I then came across this gorgeous straw boater displayed delicately in a shop window in my hometown of Christchurch. With its over-sized flower detail, modern boater shape and neutral colour, I fell instantly in love. However, straw doesn’t “give” and I was worried it might be uncomfortable to wear but I was pleasantly surprised and snagged this bargain for a mere £6! It is ideal for my trip and will work with pretty much any outfit. Check out more of their range at KiKi’s Boutique. 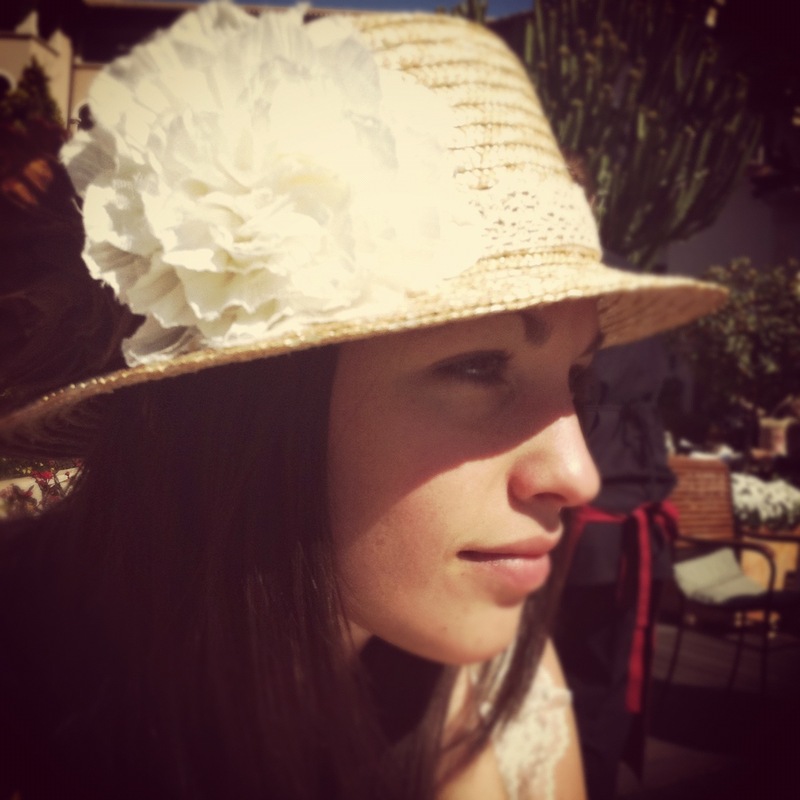 This entry was posted in Travel and tagged south africa, straw boater, sunhat. Bookmark the permalink. ← It’s Movember: It’s Mustache judging time! !